As absurd as the movie is, at its core, it serves as a reminder to embrace the child within you. When I heard Brie Larson was not only starring in a new movie but also directed it, I was elated. 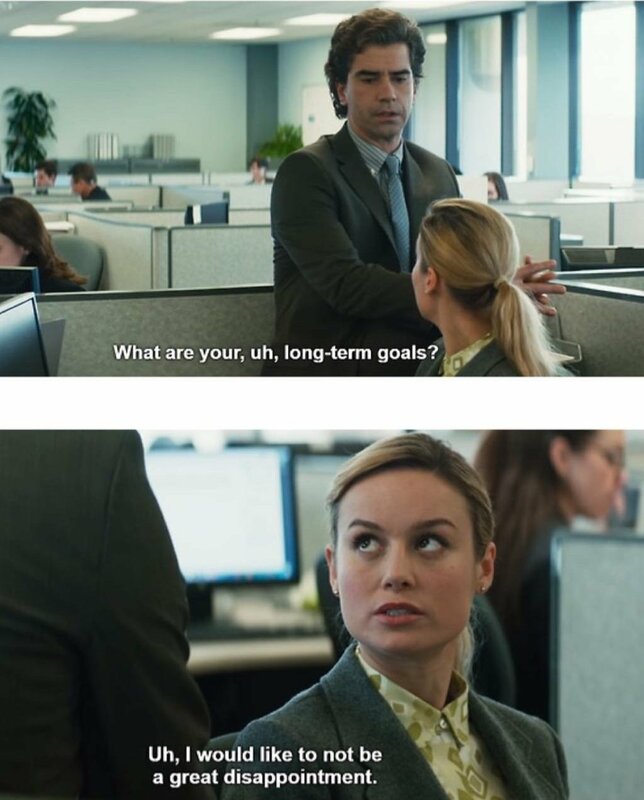 She has been one of my favorite actresses since 2013 when I first watched "Short Term 12." I've seen "Room" upwards of 20 times and I think she's what saved "The Glass Castle," which is also one of my favorite books. I also recently watched "Captain Marvel" almost immediately after it entered theaters and although it wasn't my favorite movie of hers, her talent shines through no matter the genre, but this isn't the article I'm going to write to defend that opinion. However, when I first watched the trailer for "Unicorn Store," I was perplexed, to say the least. This actress known for her deeply dramatic roles detailing heartache and triumph almost didn't seem to fit the part of a character seemingly out of her mind in a movie filled with color. It's dramatic, childlike and bizarre, but the movie serves as a reminder to not be afraid to be colorful in a world that is often black and white, which is everything you also need sometimes. Through the plot, Brie Larson chases after the promise of receiving a unicorn from a salesman who is about as out of this world as she is. She goes through the disappointment of the people she loves most not believing her and the image of her looking absolutely crazy throwing glitter in the air at a work pitch meeting. Although it seems like it's a role Brie Larson would have never taken, it's a perfect fit for her. Through her career, her acting is always raw and from the heart. Her delivery puts you in her character's shoes and enters you into the scene of something wildly out there but also intimately familiar. We become the mom who was held captive alongside her son and battles finding her true personality again. We become a counselor fighting for children to see their self-worth. 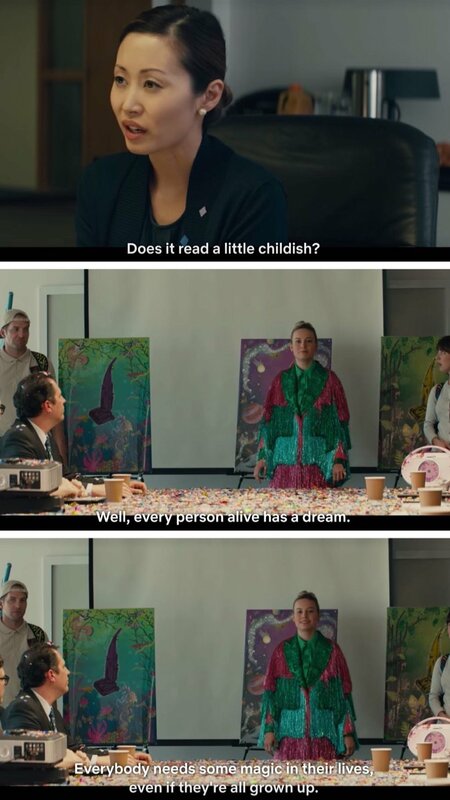 And in "Unicorn Store," we become the adult with childlike dreams that seem unrealistic but are right there in front of you. Unicorns and glitter aside, what's magical about this movie is that we see ourselves in her. We become Kit, the wildly ostentatious yet determined woman with her feet covered with sparkles and paint in her hair. Through her fighting for her dreams, we begin to recover ours in our minds. Without giving away any spoilers, Brie's last monologue in the movie filled my eyes with tears when everything she was saying felt like it was coming from my heart. I felt her take the words out of my mouth that I didn't know were there. I felt the woman in me begin to unfold to show the young girl I once was who dreamed of dancing through life and being ultimately happy. At its core, this movie is not about rainbows and unicorns – that's only some of the time. What it's really about is chasing your dreams, even when they seem silly and outrageous. In a world that tells us to grab a suitcase and mold into society's expectations, Kit tells us to not just ignore what people are saying, but don't even pay any attention to their doubts. This movie is too real while also being the most unrealistic movie. At first glance, I think this would be an easy movie to shrug off and keep scrolling down the Netflix queue. It seems like it's fit for a child, but I think every adult, even ones with dreams buried so deep, should watch it with an open heart and open mind. Brie once again shows her brilliance, courageousness, and creativity in a role that anyone else would make to seem gimmicky.